A tale of forbidden love, a magical setting, and a powerfully melodic music: Tchaikovsky's "Swan Lake" is without a doubt a key work of classical ballet. If there is only one ballet whose name is known throughout the world, it is without a doubt Swan Lake. However, people may not know that there are fifteen versions of the ballet, and that its first choreography in Moscow in 1877 was a failure and a disappointment for the composer Pyotr Ilyich Tchaikovsky, who had put all his time and effort into the work's orchestration and melodic writing. A young prince, Siegfried, refusing to choose a noble bride, falls madly in love with a beautiful maiden and Swan-Queen, Odette, victim of a spell cast by the sorcerer Rothbart: cursed to live by day as a white swan, only regaining her human form at night. The story of Swan Lake was largely inspired by the German folk tales The White Duck and The Stolen Veil by Johann Karl August Musäus: in fact, the idea of a swan-princess is a common and recurring theme throughout much of Slavic and German literature. Symbol of strength, elegance and purity, the white bird is well suited to fairy tales as well as classical ballet choreographies, in which rival dancers compete with their agility. Of all the works composed by Tchaikovsky, Swan Lake was certainly the ugly duckling… The original version of the ballet, premiered at the Bolchoï Theatre in Moscow in 1877, was a complete failure, rejected by critics and audiences alike. Even Tchaikovsky was unhappy with the work, unable to recognise the ballet he had originally imagined. Tchaikovsky was right: the work's score had been altered and changed by the Bolchoï choreographer, Julius Reisinger. He found the music to be too ambitious, and poorly adapted to the art of ballet. Swan Lake was indeed different from other works for ballet of the late 19th century: it was complex, borrowing heavily from the symphonic genre. The work builds with continuity, the music develops as the story unfolds, repeating various themes here and there. The choreography of Petipa and Ivanov follows perfectly the romantic ballet tradition. The "Ballet blanc" style commonly associated with supernatural creatures and fantastic spirits, are in each of the tableaux: pas-de-deux, pas-de-quatre, variations, but also Spanish and Hungarian dances. Of course, the overall work follows a precise outline and codification: the pas-de-deux, for example, opens with an adage, followed by variations for the male and female dancer respectively before closing with a virtuosic coda. Marius Petipa was also the creator of an important tradition: the first ballerina to perform both principal roles, Odette the Swan-princess, and Odile her evil twin. Over one hundred years later, this tradition is still respected, making the Swan-princess one of ballet's most demanding roles. In 1911, Paris first discovered Swan Lake when performed by the Ballets Russes. Fifty years later, the ballet was welcomed to the Opéra de Paris in a version choreographed by Vladimir Bourmeister, largely inspired by Petipa. However, the version of Swan Lake that impacted definitively the work's history was conceived by Rudolf Nureyev, a dancer étoile [star], choreographer, and ballet director at the Opéra de Paris in the 1980s. As a choreographer, Nureyev sought to elevate the importance of masculine roles: in many classical and romantic ballets, these roles were of secondary importance whose only purpose was to highlight the female dancers. Yet what ballet could be better suited to the elevation of a masculine role than Swan Lake? This story of a prince torn between his duties and his dream, helplessly and hopelessly in love? 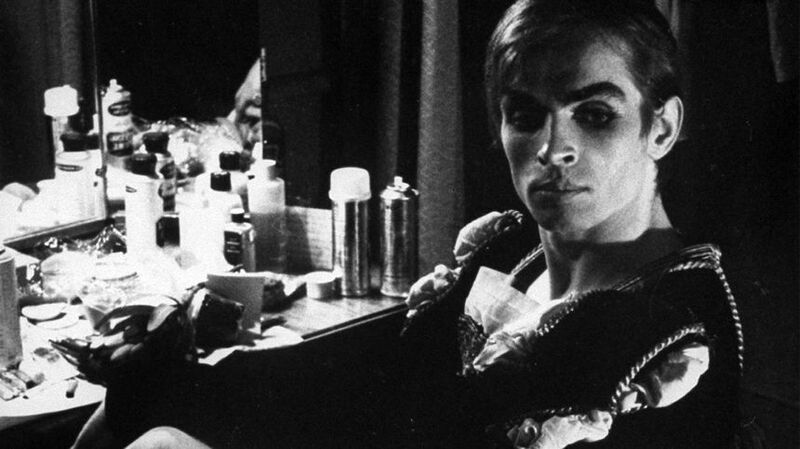 While performing the role of Prince Siegfried with the London Royal Ballet in 1962, Rudolf Nureyev introduced a new variation to the end of Act I, a solo during which the prince is finally able to express all his feelings, and his melancholy. Rudolf Nureyev first choreographed a full version of Swan Lake in 1964, for the Vienna State Opera. Twenty years later, he further developed this initial version for the Opéra de Paris, resulting in a key work of the ballet repertoire. His Swan Lake offers insight into the psychological aspect of the story. According the Nureyev himself, it is "one long daydream of prince Siegfried. [...] To escape from the dreary destiny that is being prepared for him, he brings the vision of the lake, this “elsewhere” for which he yearns, into his life. An idealized love is born in his mind, along with the prohibition that it represents." For any ballet dancer, performing the role of the prince or Swan-princess is a veritable achievement and rite of passage, not only in physical and technical terms, but also the quality of performance when interpreting Nureyev's well-defined character. In 1995, in London, the choreographer Matthew Bourne staged a novel interpretation of the work: in his version of Swan Lake, the swans are played by men, in reference to the psychoanalytical hypotheses surrounding the sexual identity of the Prince Siegfried, supposedly expressing his homosexuality in his dreams. It is this choreography of Swan Lake by Matthew Bourne that is seen at the end of Billy Elliot (2000), a film about the struggles of a young boy who wishes to fulfill his dream of becoming a classical ballet dancer. The ballet Swan Lake is also used in the film Black Swan (2011). Awarded an Oscar for her performance, Natalie Portman plays Nina, a young dancer facing for the first time in her career the double role of the white swan/black swan, and who, under the intense pressure, succumbs slowly to schizophrenia. On the big screen and at the opera, Swan Lake is as much a classical work with great cultural heritage as it is an opportunity for great innovation and creativity. Proof that a work of immeasurable importance in the history of ballet is not necessarily untouchable, still a part of today's living repertoire.